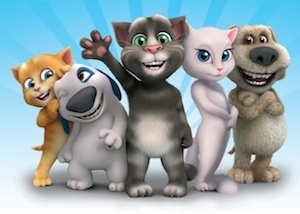 Outfit7 has appointed Dream Theatre to represent its digital brand Talking Tom and Friends in India. The first “Talking Tom” app was launched four years ago and the franchise has grown since, expanding from a series of apps to a global entertainment franchise. Dream Theatre will work to build the brand in India with extensions into apparel, sleepwear, kidswear, accessories, back-to-school, bags, games and puzzles.